Wearable technology is quickly attracting attention from people all over the world, but not necessarily the good kind of attention. Many people are criticizing wearable devices because they look unappealing and clumsy. Fashion plays a very integral role to wearable technology, as people will not wear something on their face or body if it looks foolish, no matter how useful that particular thing may be. Wearable devices have been around for centuries, however, and they often go through trends where they are considered ugly by those that would eventually use them. 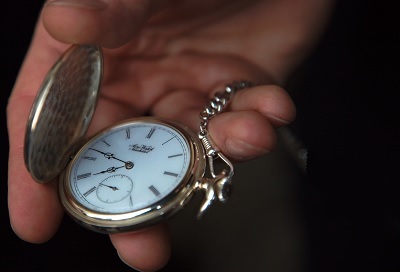 The pocket watch was the world’s first piece of wearable technology. Clocks began to change the way people perceive time and conduct their daily lives during the medieval period and the technology to keep time quickly evolved into something that people could take with them. When pocket watches first began showing up, they were criticized as being somewhat useless because of the existence of normal, stationary clocks. Over time, however, these watches became a fashion symbol and etched out their place in society. Today, these watches retain some degree of social importance and are often given as gifts. Pocket watches eventually turned into wristwatches, which were also criticized as being somewhat useless and unattractive. During World War I, soldiers began using wristwatches to coordinate attacks in a new way, using time to measure assaults. Suddenly, these wearable gadgets became more popular and the criticism directed at them and became very popular among people throughout the world. Even today, wristwatches are considered to be some of the most fashionable accessories in the world, especially among men. Watches may not be electronic technology, but the challenges that wearable devices are facing today is almost identical to that which watches experienced in the past. Modern wearable technology may only have modest usefulness, but these devices are likely to become very popular as they begin to be considered fashionable. Being accepted as an attractive accessory could solidify the place that these devices hold in society.